surface. The researchers found that larger males were able to dominate smaller males in these battles -- no matter how their forceps appeared. But when smaller males fought each other, the one with the more asymmetric forceps was usually the winner. 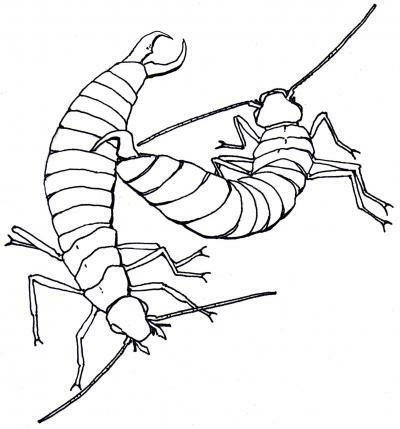 This drawing depicts two earwigs fighting. 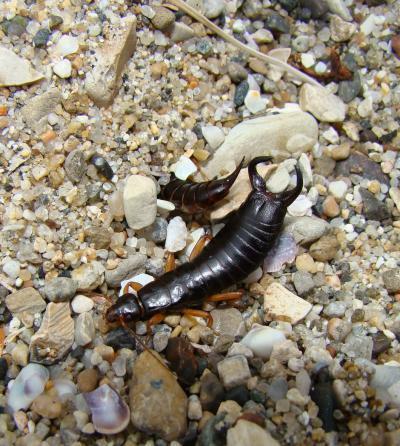 The more curved (right) forcep is grasping the top of the opponent's abdomen, which is typical during a fight.